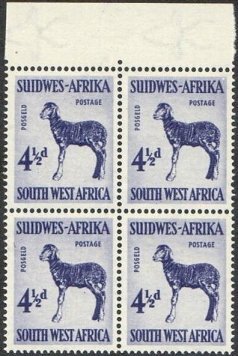 The watermark on some of these stamps is faint and even difficult to seen on their margins. 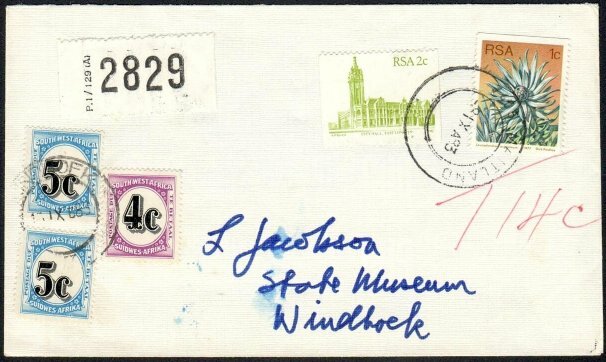 Generally speaking the collector views a watermark as seen from the back of the stamp. 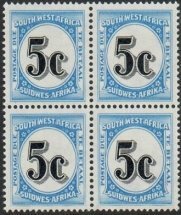 However the illustrations of watermarks in catalogues depict them as seen from the front of the stamp. 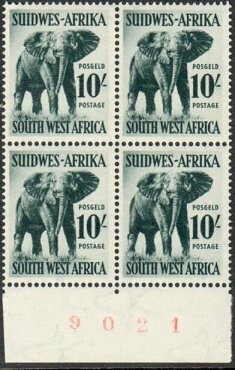 Up to 1980, in the introduction to a Stanley Gibbons Part I catalogue there was a specific note which stated...they are always described as seen from the ‘front’ of the stamp... 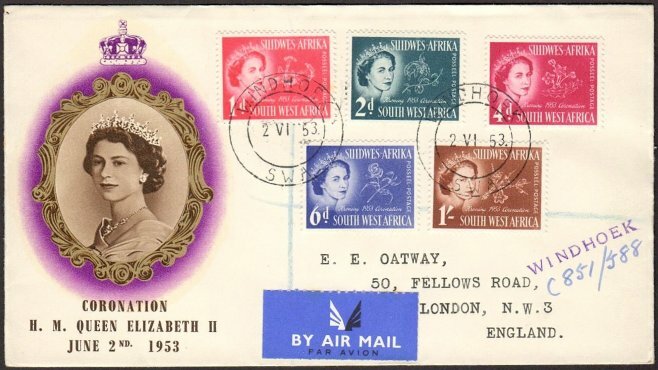 The SG Elizabethan catalogue included watermark varieties that were omitted from Part I, but their listing continued ‘as seen from the front of the stamp’. 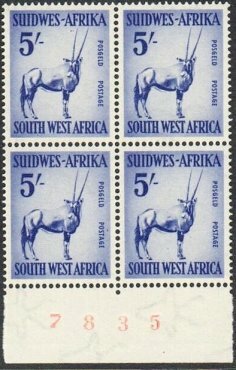 From 1963 a new multiple watermark in a triangle reading ‘RSA’ was introduced and in July 1967 a variation of the foregoing became watermark ‘RSA Tete-Beche’ (See SAP Oct 1967). On the grounds that both watermarks were faint and difficult to detect...the SG policy was to simply ‘lump’ them together under one listing. As a compromise SG included a footnote explaining the foregoing. 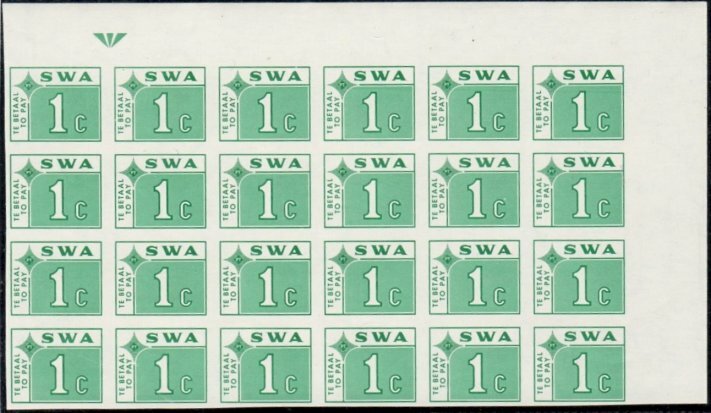 Another RSA and SWA variation include printings on Swiss and Harrison papers. 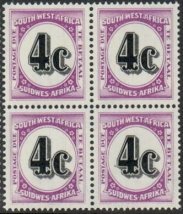 Under a UV light they respectively appear ‘pink’ and ‘violet’ from the reverse. After the SG Elizabethan catalogue was discontinued, the Part I continued its policy of not listing inverted watermarks, thus the RSA and SWA (Elizabethan footnotes) did not feature. 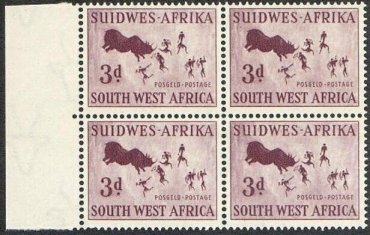 This ‘no comment’ policy continued up to and including the 1997 (99th edition) of Part I - From 1993 to 2002 the SG Part I was issued in two volumes. 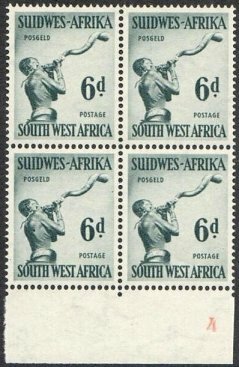 Their initial policy for listing watermarks was not in line with Stanley Gibbons as they noted them ‘as seen from the back of the stamp’. 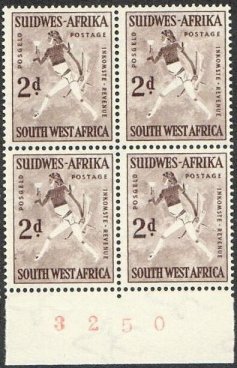 I recall having a conversation with Lutz Hefferman, the editor of the SACC, at one of the Rosebank SAPDA shows in Johannesburg during the early 1990’s. 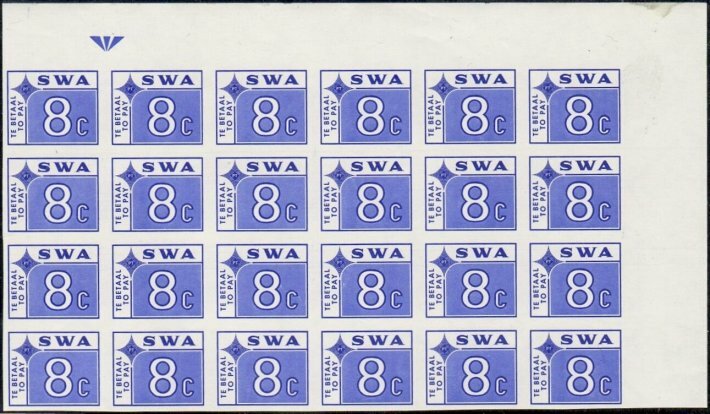 I pointed this difference in policy out to him and he informed me that he intended to change in line with SG...however it appears that by 1998 the accepted policy for watermarks had changed to ‘as seen from the back of the stamp’. When, how or why it changed I do not know and it is perhaps academic...except that and obvious error, in both the SG and SACC, may be the result of the ‘chopping and changing’ policy for viewing watermarks... somehow the viewing from either the front or the back created ongoing problems that have not been resolved to this day. 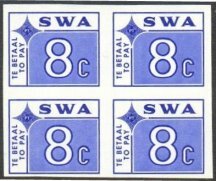 I refer in particular to SWA the 1967 - 1970 printings of the 7½c SG 212 or SACC 207b. 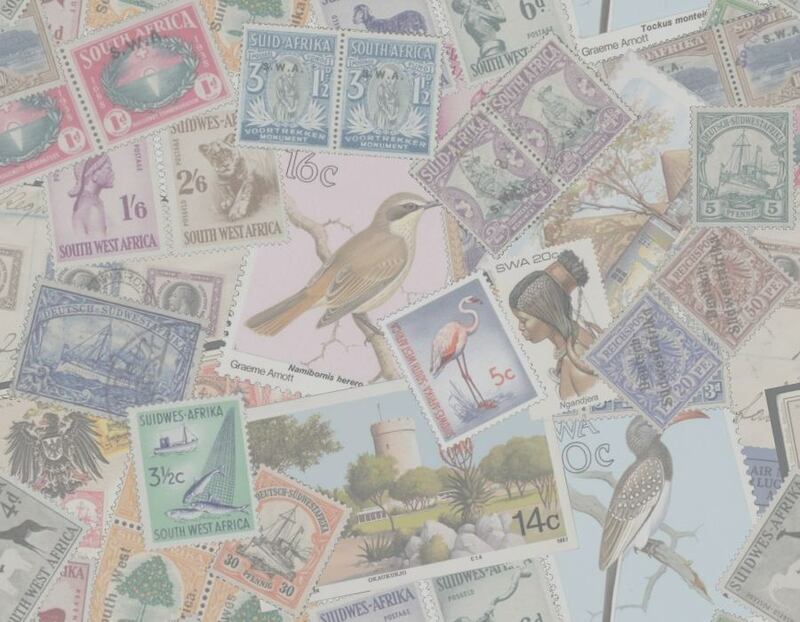 2015 SG Commonwealth Catalogue (117th edition) under ‘Preface’. 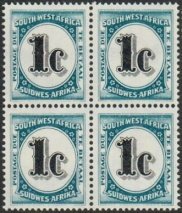 The watermark on the ½c is inverted and upright on the 2½c and on the other values it is sideways. 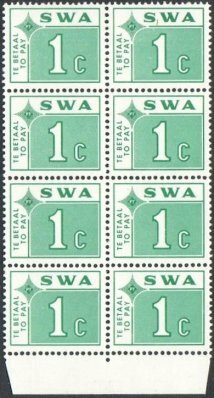 According to the SG catalogue the ‘normal’ version has the RSA triangle pointing left (as seen from the back). Thus a variation ought to be facing right. 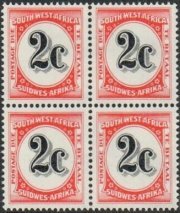 SG lists two such variations being the 1c and 7½c both facing right numbered SG A203a and A212w. 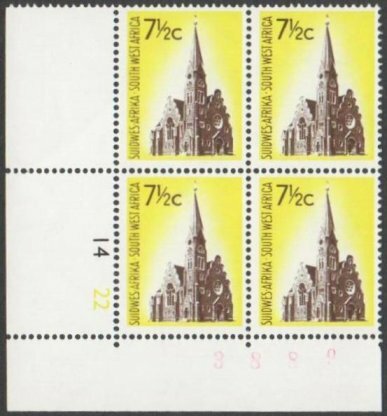 The normal 7½c (issued 1967) is noted as SG A212 facing left and the SACC agrees stating it as 207b...as the first printing is during 1967 and there is no footnote, both the foregoing is essentally incorrect. 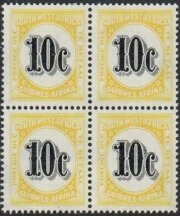 On the 1c the SG listing does not appear in the SACC and so far I have not seen an example of this variation. 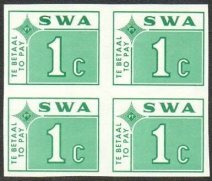 There was only one printing of the 1 cent. 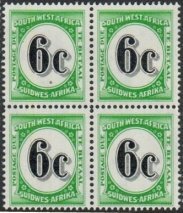 Both SG and the SACC initimate (incorrectly) that the initial 1967 printing of the 7½c has the watermark facing left - it faces right! 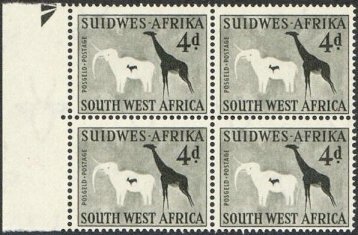 Initial (first) printing (1967) Sheet No is in black and a faint watermark faces right and not left, only 3,600 sheets printed. 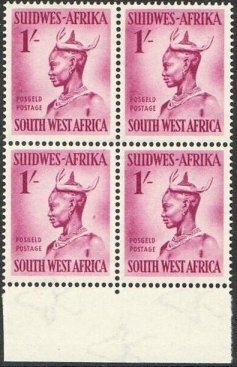 In addition the colours on the stamp are much deeper than the reprints. 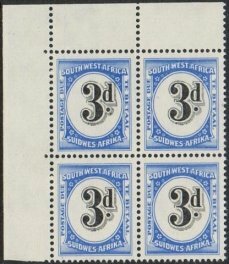 On the reprints, the 1st (17,800 sheets) 2nd (22,500 sheets) and 3rd reprint (14,000 sheets) Thus the 7½c (Wmk right) is the only faint version of the watermark. 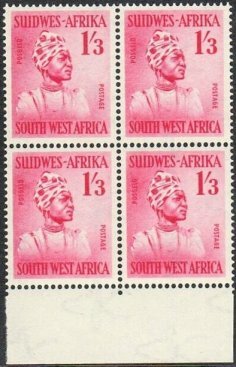 Sheet No's on the Reprints 1st reprint four figure red sheet Nos. 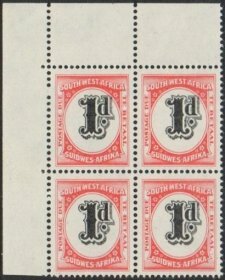 2nd reprint dull red ‘flat’ sheet Nos. 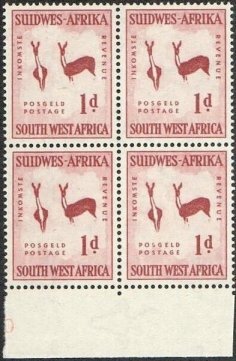 3rd printing, smaller darker red sheet Nos. 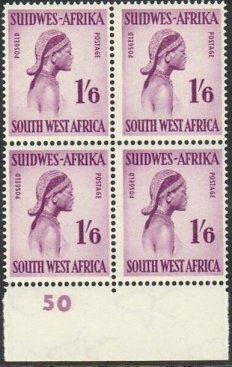 In addition the reprints reflect much lighter colours compared to the initial (wmk right) 1967 printing. 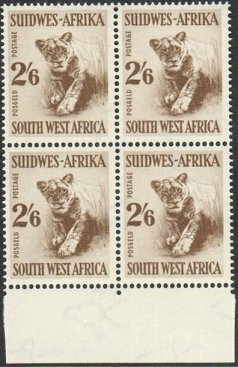 The cylinder blocks on some reprints assist in defining which printing is which. 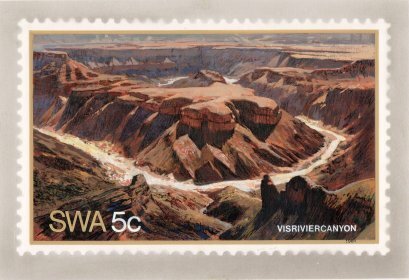 For instance the 2c 1st ptg has a faint watermark and the 2nd ptg is clear. 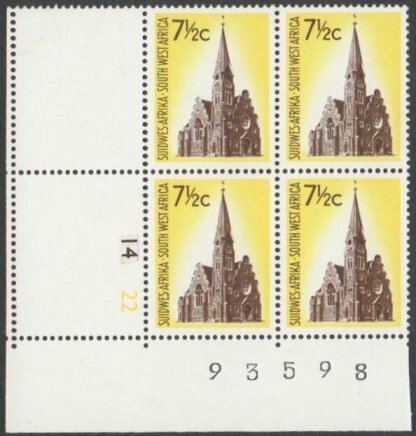 2½c First two printings (clear wmk) and 3rd ptg (faint wmk) There are two distinct shades on the third ptg, listed in the SACC but not in SG.